"A heartfelt chamber piece of flawed personalities, calamitous decisions and unexpected moments of grace." "One of the beauties of being a reviewer is that every so often,one gets to discover an unknown gem in the dog-eared pile of books to be read. 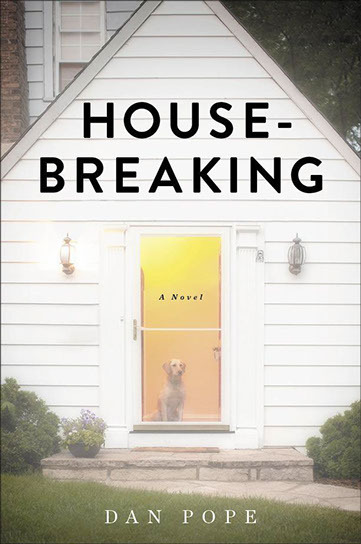 Housebreaking is one of those gems. Dan Pope has created characters that the reader is unlikely to forget or to stop thinking about long after the book is finished." "This work will captivate and immerse readers in a cyclone of emotion that could leave them short of breath by the last page. Not for the faint of heart, this realistic novel is an excellent portrait of flawed people, tragic circumstances, and the behavior that consumes them." "Desire, discontentment and unrealized dreams propel the likable lost souls in this empathetic cut-to-the-bone look at multigenerational suburban malaise." "In this compassionate, utterly engrossing novel of suburban dysfunction, unhappy middle-aged adults go off the rails, with tragic consequences....This insightful novel about flawed people and their frequent quests for redemption makes some trenchant points about how easily people can lose sight of what’s most important." "Is there anything left to say about suburban family dissolution and the edgy temptations of adultery that Updike, Cheever, Moody, Homes, Perrotta, etc., etc., haven't already said? As it turns out, there is. . .Fresh rewards come with the strength of the storytelling. Dan Pope's steady prose and rich characters bring new life to the familiar story of a suburban family unraveling."